Celebrating 36 Years of Serving the Community! Asclepias incarnata (swamp milkweed) with bee. This stately milkweed is at home in moist habitats across much of the United States. It has flat terminal clusters of pale pink to mauve to red-violet flowers in summer, succeeded by interesting seed pods that split to release seeds on silken parachutes. 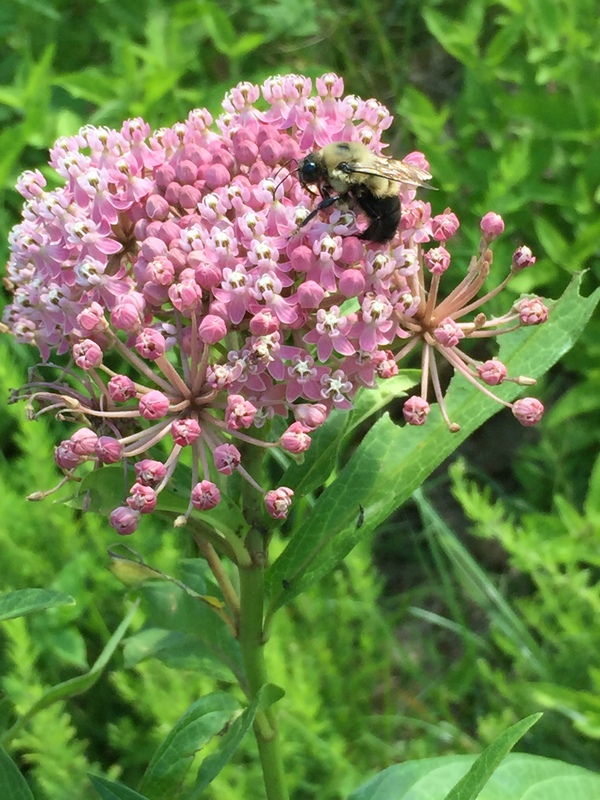 This entry was posted in MG in the Garden, Tried and True Native Plant Selections for the Mid-Atlantic and tagged Asclepias incarnata, Swamp Milkweed, Tried and True Native Plant Selections for the Mid-Atlantic. Bookmark the permalink. Best Free Gardening Advice for 2019! We won! Register Online for April MGNV Public Education Classes. Register Online for May MGNV Public Education Classes. Subscribe to our website! Just enter your email address below and click "sign me up" to get notified of new updates to our site via email. volunteers. We will always do our best to keep the information on our site as up to date and accurate as possible.